For many, this year offered a lot to be optimistic about when it comes to the future of Pakistan. This year can rightfully be termed the year of change for Pakistan. After all, the General Elections held this year saw the rise of the Pakistan Tehreek-e-Insaf (PTI) into the power corridors. 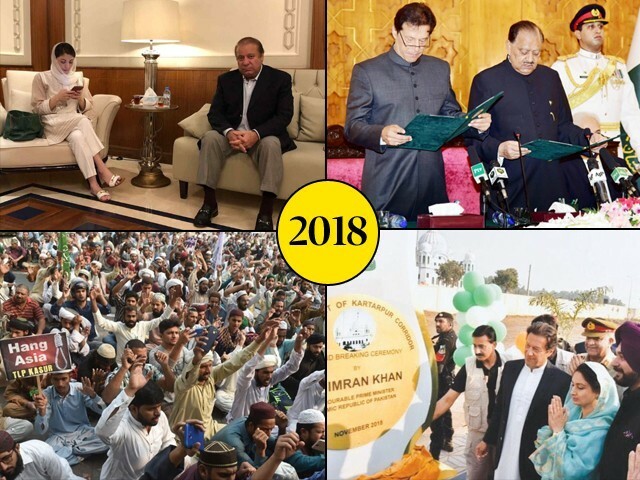 While the political temperature in Pakistan remains high despite the cold weather of December, the following are glimpses of the main political events that had an impact on Pakistan’s political dispensation this year. January: US President Donald Trump lashed out at Pakistan in a tweet and withheld aid worth millions of dollars. February: Renowned human rights lawyer and activist Asma Jahangir passed away. March: Pakistan Muslim League-Nawaz (PML-N) leaders Nihal Hashmi, Talal Chaudhry and Daniyal Aziz were disqualified on charges of contempt. Meanwhile, PML-N emerged the largest party in the Senate elections and Sadiq Sanjrani was elected the Senate Chairman. April: Nawaz Sharif and Jahangir Tareen disqualified for life by the Supreme Court (SC). May: The National Assembly witnessed an unprecedented show of solidarity as it voted to merge the Federally Administered Tribal Areas (FATA) with the province of Khyber Pakhtunkhwa (K-P). Another important development was the completion of tenure by the PML-N government under the supervision of Prime Minister Shahid Khaqan Abbasi. July: During the pre-election period, Nawaz, his daughter Maryam Nawaz, and her husband Captain (retd) Mohammad Safdar were convicted by the accountability court. They were later taken to Adiala jail. Meanwhile, Haroon Bilour, a leader of the Awami National Party (ANP) was killed in a suicide attack as he addressed a campaign rally. Also in July was the opening of the ‘dam fund’ by the State Bank of Pakistan, upon the directives of the SC. However, the most important event of the year took place on July 25th, as the PTI won the General Elections in Pakistan. The party won the centre as well as K-P, and was also able to form the provincial government in Punjab with the support of independent candidates and the Pakistan Muslim League-Quaid (PML-Q). August: The first session of the 15th National Assembly of Pakistan was called in which 328 members of the lower house took oath. A week later, Imran Khan took oath and became the 22nd Prime Minister of Pakistan. September: Dr Arif Alvi took oath to become the 13th President of Pakistan. A week later, Kulsoom Nawaz passed away after fighting a long battle against cancer. On September 18th, Imran went to Saudi Arabia and managed to get $6 billion in financial assistance. Additionally, a day later, the Islamabad High Court suspended the sentence for Nawaz, Maryam and Captain Safdar and they were released on bail, while the SC later dismissed the review petition against Tareen’s disqualification. October: Shehbaz Sharif, the leader of the opposition, was arrested on charges of corruption. Around the same time, the rupee hit an all-time low against the US dollar as it plunged by 7.54% in a single day, resulting in a stock market crash. On October 31st, Aasia Bibi was acquitted by the SC and religious extremists belonging to the Tehreek-e-Labbaik Pakistan (TLP) took over the country in protest. 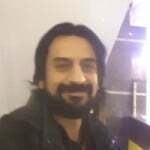 November: Imran made his first official visit to Pakistan’s all-weather friend China, while the country remained in a state of panic due to the TLP’s hooliganism. However, Imran’s visit was considered important for bilateral ties as well as for the facilitation of the China-Pakistan Economic Corridor (CPEC). On November 23rd, a crackdown was initiated against the TLP and its leadership, including Khadim Hussain Rizvi, was arrested by state authorities. On November 28th, the ground-breaking ceremony was held for the Kartarpur corridor. This move was termed a master diplomatic stroke from the Government of Pakistan with respect to our ties with India. December: PML-N firebrand Saad Rafique was arrested for the Paragon City housing scam along with his brother, causing uproar amidst the opposition. The prime minister’s sister Aleema Khanum was fined Rs29.4 million for not disclosing her property in Dubai, while Asif Ali Zardari, along with his sister Faryal Talpur, was accused of money laundering and possession of an undeclared apartment in the US by a JIT, making 2019 look difficult for the Pakistan Peoples Party (PPP). An important development came in the form of yet another verdict against Nawaz, this time sentencing him to prison for seven years for the Al-Azizia corruption reference while also imposing a fine of Rs1.5 billion. Depending on one’s political affiliations, one can decide whether 2018 was a good year for Pakistani politics or a bad one. What one cannot deny, however, is that a lot happened this year, at times making it hard to keep up with events as they happened. Additionally, how common people viewed these events is also remarkably different from how journalists, intellectuals and politicians saw the events unfold. However, Mushahidullah expressed his concern on the curbs upon media freedom and the media groups that are becoming tools for undemocratic forces to undermine democracy. Meanwhile, members of the PTI were not available to offer their opinion on the same subject. For many, this was a year that brought positive change to the political status quo and offered a lot to be optimistic about when it comes to the future of Pakistan. However, there are many out there who look at this year with despair and view the many political developments that took place as indications that not only has our democracy weakened, it is now under open attack. Let’s hope the year 2019 proves this wrong and brings about actual change that is much needed in the developing roots of Pakistan. How many Ahsans, Amals, Aqsas, Intezars, Nimras, Sajjads will we lose to police encounters? Was Hanif Abbasi only arrested to benefit PTI in the 2018 General Elections? While endorsing Modi, did Imran Khan forget the plight of Kashmiris and Indian Muslims?